Earn up to 240 Puff Points. Yocan Hive 2.0 Vaporizer is a powerful and portable, this stealthy device comes with two magnetically attached atomizers. A solid and liquid atomizer, both delivering pure, delicious vapor. These atomizers are leak-proof and easy-to-fill, making them ideal for on-the-go use. The liquid atomizer is a top fill unit with a high-grade metal build that preserves the essential flavors of products. The solid atomizer features a quartz coil that vaporizes very efficiently for pure, flavorful hits. Both atomizers are column-shaped and snap right into a port via magnetic connection. All this engineered with a built-in 650mAh battery, this Yocan vape packs a punch and produces big, satisfying clouds. Compared with other MOD vaporizers, the Hive 2.0 is super compact, perfect for discreetly vaping product on-the-go. Palm-sized, it’s easy to conceal and won’t weigh heavy in your pocket. The design is simple yet sleek, with a smooth polished exterior that feels soft and cool in your grip. A glass window on the side of the unit shows the current level, so you know exactly when to reload. First, assure your Yocan Hive 2.0 is fully charged. To do that, charge via the USB charger provided into a power outlet or computer. To fill the atomizer: start by unscrewing the mouthpiece. Take a syringe and tilt at an angle along the side of the glass and squeeze out the product (do not exceed 0.8mL). To load the solid atomizer: Begin by unscrewing the atomizer and tube. Use your loading tool to put a grain of rice sized amount on the quartz coil. Reattach the mouthpiece/atomizer tube by screwing it on when it is filled/loaded. Click the power button five times in a quick succession to activate your device. Three blue lights will flash 3 times, this means the unit is on. The output voltage is adjustable; simply press the power button three times rapidly to adjust the voltage level. One light showing blue means it’s low voltage. Two lights showing blue means middle voltage. Three lights showing blue means high voltage. When your device is middle voltage, press the power button three times to switch it to high voltage, then press the button three times again the voltage will turn to low voltage. When adjusted to your desired voltage level, hold the Hive 2.0’s power button and begin vaping. If three blue lights flash 10 times at the same time, it means it is time to charge the battery. When the Hive 2.0 is charging, three blue lights will flash in a loop. If the battery is charged to 35%, the first blue light will stay on, while the other two lights keep flashing in a loop. When the Yocan Hive 2.0 is charged to 70%, the first and second lights stay blue while the third light continues flashing. When it’s fully charged, all three blue lights will flash eight times at the same time, and is immediately followed by all of the lights extinguishing. 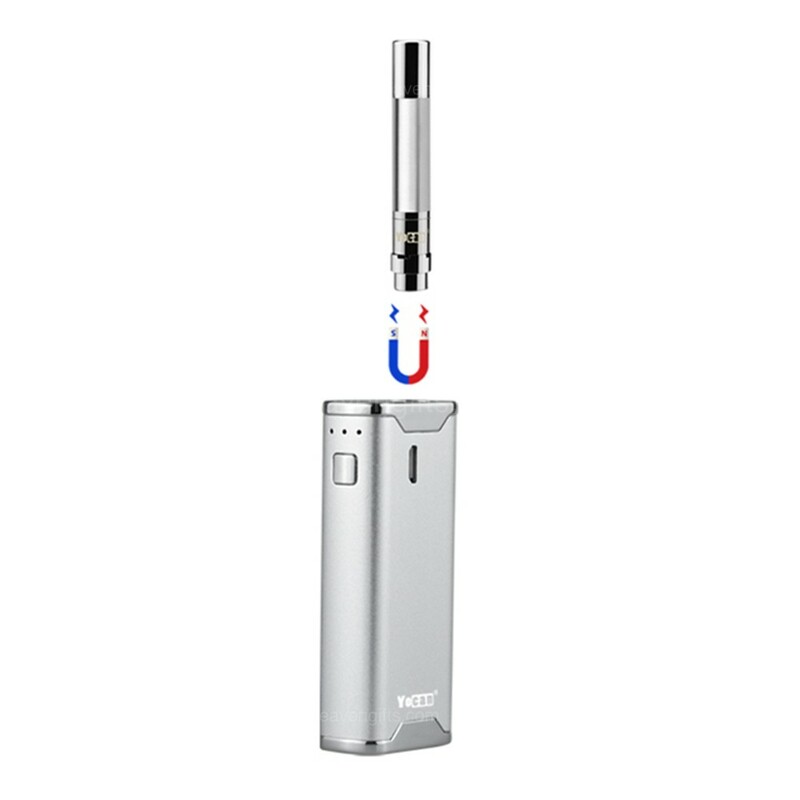 The Yocan Hive 2.0 vaporizer supports 15 seconds of continuous heating. 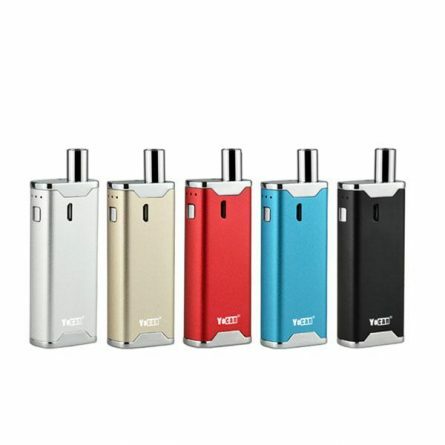 If you draw over 15 seconds at one time, the voltage indicator lights will flash eight times, then the vape function will be disabled at that time. Keep your device clean to ensure optimum operation. Use isopropyl alcohol to clean any stubborn areas of buildup or residue. 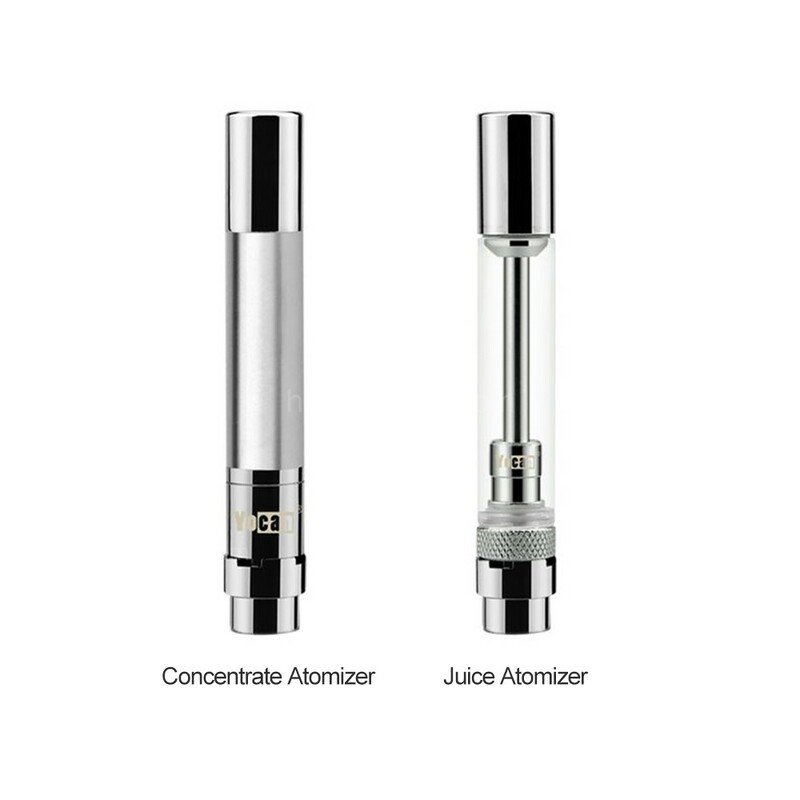 Replace the atomizers periodically; atomizers have a lifespan of roughly 6-8 weeks, depending on use. 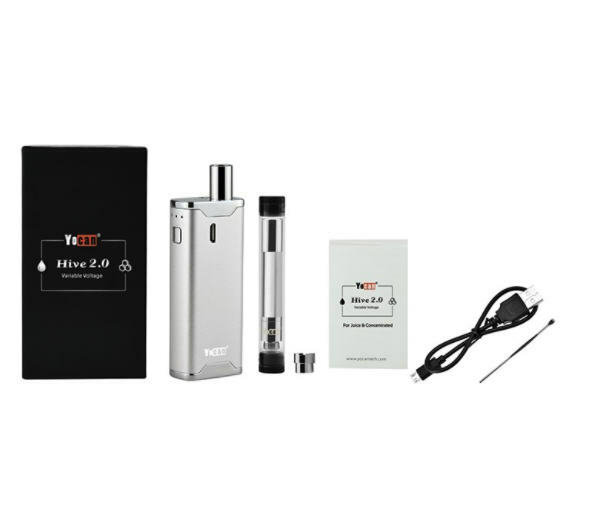 While its predecessor was compatible with Dual use, the Yocan Hive 2.0 vaporizer works with solids and liquid. A premium solid atomizer with a quartz heating rod extracts giant clouds of flavorful vapor, while the top-fill e-liquid atomizer boasts a leak-proof design. Swapping between atomizers is simple with a magnetic connection, and both parts are easy to clean. A window on the side of the unit enables users to easily check oil levels. Whether you want small, tasty sips, big clouds, or anything in between, Yocan Hive 2.0 features preset voltages optimized for the most popular vapor profiles. With a compact build, users can easily carry the Hive in their pocket or conceal it in their palm while vaping. This portable dual use vaporizer can be charged conveniently via USB, making it easier to power up. 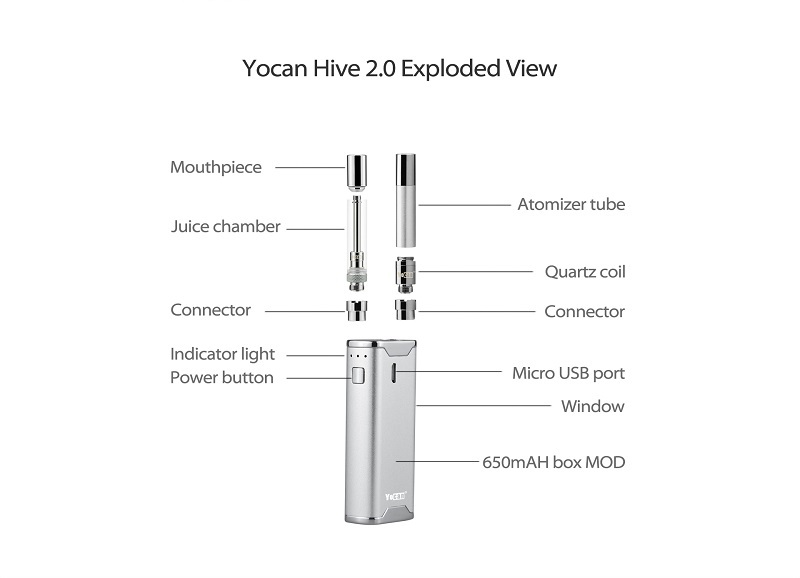 The all-in-one Yocan Hive 2.0 packs powerful Dual use vaporization in one compact but powerful vaporizer. And just in case our technical support can’t fix your issue. The warranty covers all manufacturer defects and all warranty replacements go through us. 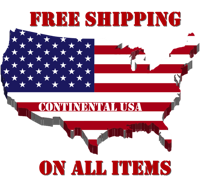 No need to search for manufacturer phone numbers and jump through hoops. Let us do all the work for you!